Everyone, including those in authority seem to have chosen to ignore the imminent danger looming over Nigeria as a result of the incessant attacks on farmers in the Middle Belt and Southern part of Nigeria. These attacks are certainly not new and clearly do not have any political colouration. At times like these when our countrymen and women are being murdered by fellow countrymen, what should come first is Nigeria and not our religious, ethnic or political affiliations. The ‘Fulani’ cattle herdsmen have over the years played a significant role by providing our daily supply of beef which still constitutes more than 70 per cent of the animal protein for Nigerians. However, these protracted attacks on innocent farmers and wanton destruction of their crops and residences, if not immediately checked, will not augur well for the future of Nigeria. It is absolutely not the right time for the Police and the relevant authorities to be helpless and allow a few brigands to take the laws into their hands and continue to unleash mayhem in different parts of the country. You will recall that in 2015, certain ‘Fulani’ herdsmen attacked and kidnapped former Secretary to the Federal Government and Minister of Finance, Chief Olu Falae. He was held captive for 72 hours until the payment of N5m ransom for his freedom was paid. About two weeks after his release, it was alleged that a group of Fulani Herdsmen attacked and destroyed the same farm where he had been abducted. 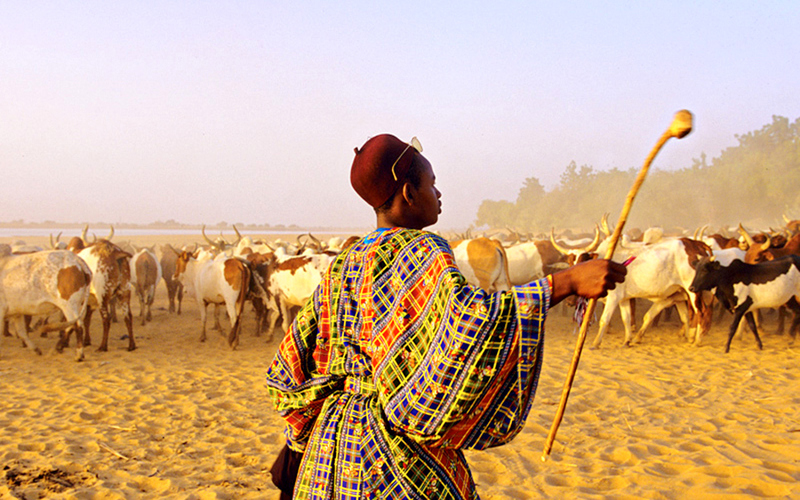 News of the nefarious activities of Fulani cattle herdsman reverberate across the country: from Benue to Taraba, Delta to Edo, Kaduna to Nassarawa, Katsina to Adamawa, etc. The news is that the herdsmen have constituted themselves into a great threat to national food security by their brazen and deliberate destruction of crops resulting in avoidable crises and bloodletting. Crop farmers across the country are increasingly becoming apprehensive over the negative attitude of the cattle rearers who unleash their herds on the poor farmers’ crops, destroying them to points of no redemption. As a result, farmers of cassava, rice, maize, guinea corn and groundnuts now incur extra cost to put hedges around their farms to fend off the marauding cattles whose owners have grow most insensitive to the plights of the average farmer. The abduction and kidnap of Chief Olu Falae ought to place the issue of the danger posed by Fulani cattle rearers in national discourse and compel the government of the day to find a permanent solution to this lingering menace. Somehow, it appears that we need to be reminded that we are equal under the law and no one has the right to take the life of another, under any guise and for whatever reason from Benue to Taraba, Delta to Edo, Kaduna to Nassarawa, Katsina to Adamawa, etc. The news is that the herdsmen have constituted themselves into a great threat to national food security by their brazen and deliberate destruction of crops resulting in avoidable crises and bloodletting. Crop farmers across the country are increasingly becoming apprehensive over the negative attitude of the cattle rearers who unleash their herds on the poor farmers’ crops, destroying them to points of no redemption. As a result, farmers of cassava, rice, maize, guinea corn and groundnuts now incur extra cost to put hedges around their farms to fend off the marauding cattles whose owners have grown most insensitive to the plight of the average farmer. The abduction and kidnap of Chief Olu Falae ought to place the issue of the danger posed by Fulani cattle rearers in national discourse and compel the government of the day to find a permanent solution to this lingering menace. Somehow, it appears that we need to be reminded that we are equal under the law and no one has the right to take the life of another, under any guise and for whatever reason. Of course, we welcome the new legislation passed by the National Assembly which sentences to death anyone convicted of kidnapping. But we know that the problem we have is not lack of laws but the implementation. Otherwise, how can anyone explain that Cattle rearers have AK47 when they are not police officers or soldiers at war. There are terrible consequences if we allow this evil to continue in any part of Nigeria. That we have inadvertently agreed that people can kill with impunity. If unchecked, this can lead to a national conflagration as different groups may decide to take the law into their hands or look for ways to defend themselves since the state is unable to provide safety and security. That the government of the day is unable to guarantee the safety of life and property which is our constitutional right. The lack of safety and security for farmers will compel youths who farm in the villages to seek better lives in the cities. This will lead to rural-urban migration. The immediate implication of this is that there will be overpopulation in the urban centres. The long term implication is that there will be more crime in the urban centres because these young people will not find the greener pasture they seek in the cities. There is a great threat to national food security since farmers are no longer able to farm under safe and secured environment. The Southern part of Nigeria is known for producing crops like cassava, maize, yam, plantain and bananas as well as tree crops like oil palm, rubber and cocoa. We also need to urgently examine the reasons why these ‘Fulani’ herdsmen have turned against their host communities. There are allegations of intolerance and marginalisation meted against them by their hosts. There are also documented cases of extortion where host communities unduly demand money and cattle from the herdsmen. So it would appear that the attacks are simply a way to vent their grievances and only want to be heard. So we need to urgently mediate and find a lasting solutions to these attacks and encourage host communities to be more accommodating and tolerant. We also need to provide dedicated ranches for the cattle rearers to avoid a situation where they often have to wander about looking for food for their cattles. That said, the point must be made that no Nigerian has the prerogative to go about living above the law and causing mayhem to other people. While it is good that the National Assembly has taken a major move, the Executive must do all that is required to ensure that sanity returns and that the safety of lives and property are guaranteed to all the communities affected. This also includes the lives and property of the ‘Fulani’ herdsmen. In addition, we must ensure that we fish out the perpetrators and bad eggs so that they can face the consequences of their evil actions and to serve as deterrence in future.